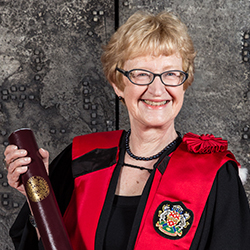 After receiving her doctorate in sociology from the University of Toronto in 1974, Danielle Juteau taught at the University of Ottawa, where she received the Excellence in Teaching Award and taught the first women’s studies course. As a pioneer in the now undisputed field of ethnic studies, both in Canada and internationally, she has also contributed to building knowledge about Francophone minority communities in Canada, Franco-Ontarians, Canadian pluralism and gender relations. She joined the faculty of the University of Montreal in 1981, where she conducted ground-breaking work in the field of ethnic studies in Canada. As the first Chair in Ethnic Relations at the University of Montreal, she founded the Groupe de recherche ethnicité et société and the Centre for Ethnic Studies to study ethnicity and society, and collaborated with other institutions, most notably La Sorbonne, Harvard and UCLA. Her exceptional teaching skills inspired several of her students to follow in her footsteps, and today, many of these students conduct critical analyses of the ethno-demographic transformations underway in our societies. Danielle Juteau revolutionized the study of ethnicity by transcending the traditional economic-cultural duality to focus on the interdependence of economic, political and ideo-symbolic factors in shaping identity. Her studies went beyond the boundaries of university research to influence the wider society, most notably in collaboration with various commissions on subjects of public interest, such as Quebec nationalism. Her landmark book, entitled L’ethnicité et ses frontières, is considered a turning point in the field; it serves as a framework to analyse the social interactions that build social boundaries, and bridges the gap between the internal and external aspects of identity. Over the course of her distinguished career, Danielle Juteau has been awarded many research grants, including a prestigious Trudeau Foundation Fellowship in 2003. In 2001, she was awarded the Marcel Vincent Prize by ACFAS, a notable Canadian association of Francophone researchers. She was elected to the Royal Society of Canada in 1996 and named a Member of the Order of Canada in 2014.